If you’re like me it is hard to read a book in a reasonable length of time when it has more than 150,000 words regardless of how good the writing is. We’re all busy with many things vying for our time, as well as our own created distractions. But exceptionally written books that hold me in the world within the pages that make me care for the characters are worth whatever time it takes to read them. 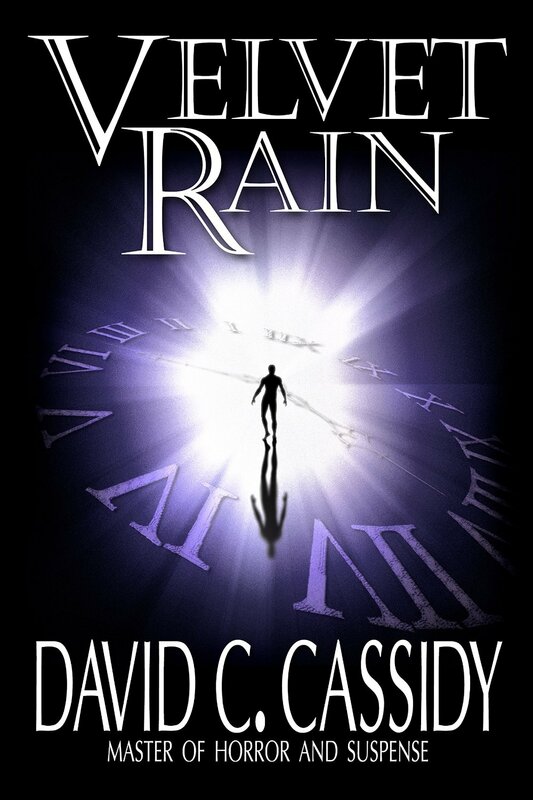 Velvet Rain, by David C. Cassidy was one of those books. It was published several years ago and I’m surprised it isn’t now on a thriller/time travel bestsellers list. I think the author realized a new undiscovered author with prose as engaging as King or Koontz can’t persuade readers to consider a lengthy story until he has the following of the previous two mentioned masters. Thus I was pleased to notice that Velvet Rain was broken into three novels, each being priced at a low price. If you enjoy stories about bad things happening to good people, I’d highly recommend you give the first of the three books, Velvet Rain, Life, a try. Trust me, you’ll be speeding through it and reading the other two in the series, Death, and Hell on Earth, shortly afterward. This entry was posted in Uncategorized on April 11, 2015 by Dana Griffin.